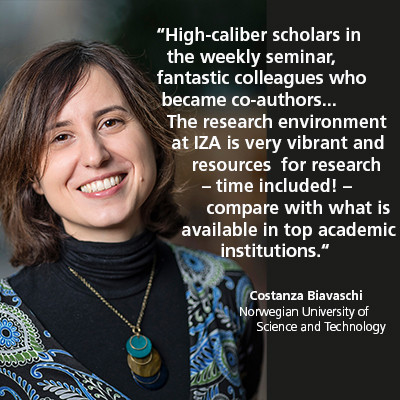 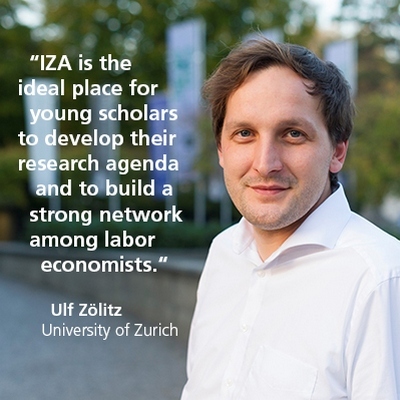 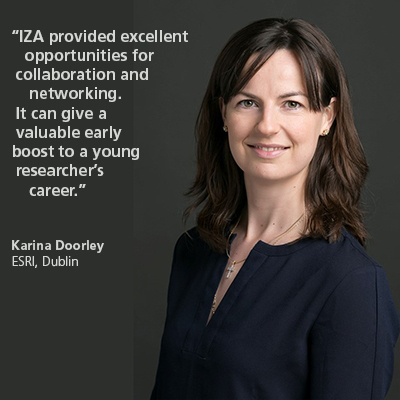 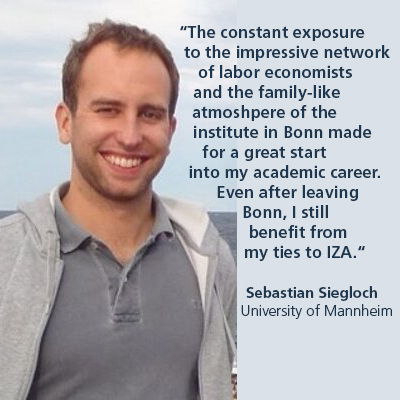 Research Associate positions at IZA enable young career researchers to push policy-relevant research agendas in an excellent academic environment, constituted through IZA itself and the close ties to the briq Institute and the University of Bonn. 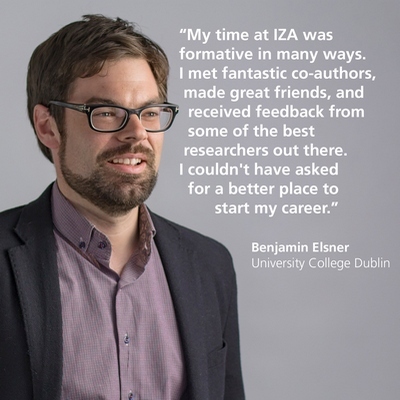 Alumni from IZA tend to commence their academic careers with tenure-track or tenured positions at successful and prestigious institutions worldwide. 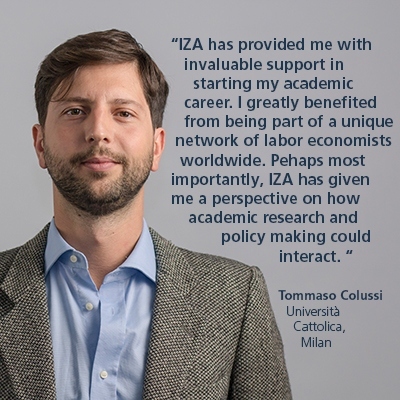 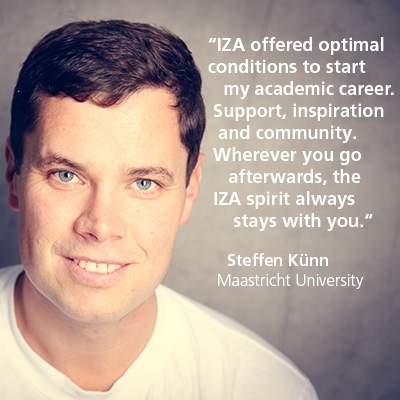 We congratulate our recent Alumni on their great new positions and commit ourselves to an ongoing cooperation through the IZA Fellow network.